Let’s take a look at both options and ways you can take advantage of either to sell your home in a way that works best for you. Depending on the condition of your home, a few simple upgrades and improvements may be all it needs to list on the market and sell quickly. 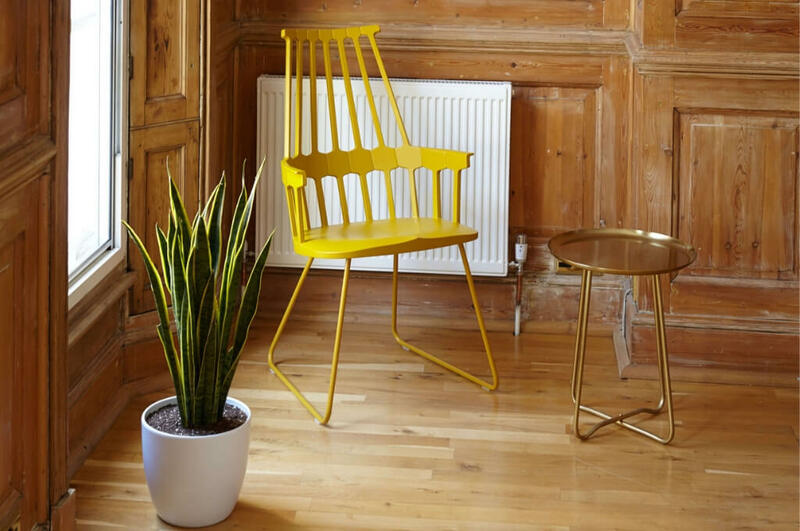 When considering a renovation project for this purpose, consider what home trends are popular this year and which tips will help make sure your home finds a new owner as fast as possible. Step aside neutrals, rich colors are taking over. Whether it’s a colorful accent wall or blue cabinets, colorful interiors are here to stay. On the bright side, they’re a good way for Seattleites to escape from the constant grey of the outdoors! P.S. : This year’s “Pantone Color of the Year” is ultra-violet. Is there somewhere you could see implementing that in your home? Here’s some good news for do-it-yourselfers and those with older homes: vintage is in. Vintage lights are a great way to make your home—and a room inside it—stand out from the rest of them. Spruce up your old fixtures or find one to clean up and put in the home before selling it to truly make a statement. This trend seems to be popping up everywhere—so much so that a Seattle bathtub artist made headlines recently for his artwork. 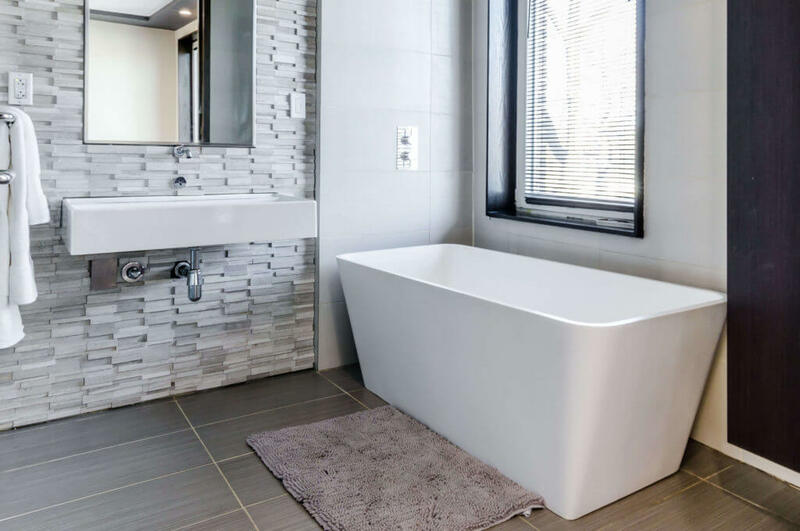 It’s a bit more difficult to implement a freestanding bathtub in older homes, but it’s worth exploring for rehabs and renovations where you have space. Bedrooms are meant to be relaxing. After all, they’re the most peaceful space in your entire home. 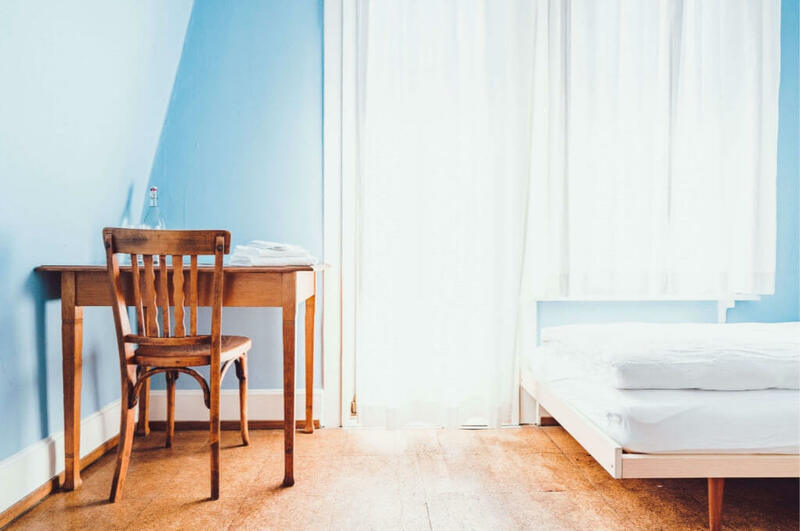 Less is more when it comes to rooms, and this is a good place to avoid the rich colors we mentioned before. Instead, opt for neutral colors and calming features. The key is to keep it simple. In recent years, mid-century modern has been everywhere you look. We’re starting to see a move away from that trend and a direction toward a more modern take on traditional details such as wooden cabinets and weld and trim details. Decluttering is probably the key ingredient to selling your home quickly. 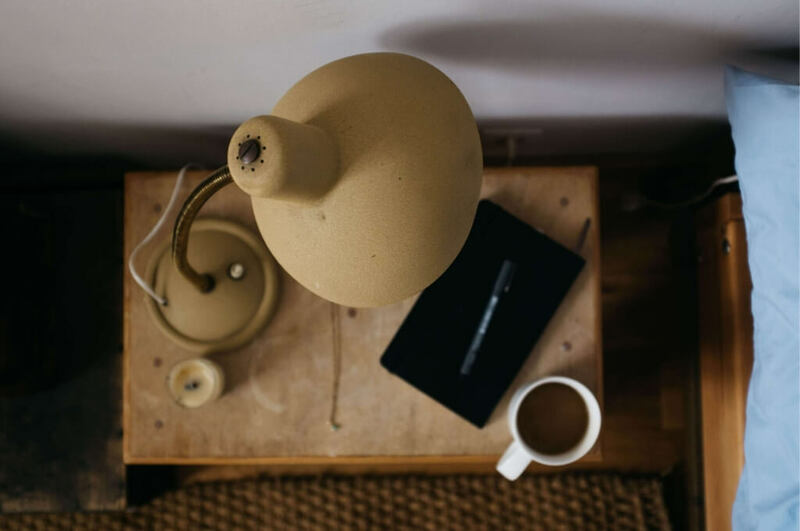 It goes without saying that a home for sale shouldn’t look like a hoarder house, but you also have to get rid of a lot of your junk and make the rooms in your home feel open, bright and inviting. This also means putting away all your personal artifacts. Potential buyers want to envision themselves in your home and don’t necessarily want to see all your family photos and sentimental items around. Take it easy on the shopping. That new lamp might be perfect for your home, but is this the right time to buy it? Emotionally prepare yourself. Sometimes giving away items can be hard. We recommend the “Marie Kondo” method of evaluating each item to see if it still sparks joy. Get some help. Don’t plan on doing all the heavy lifting yourself. When was the last time your carpet was replaced or your door repainted? Simple upgrades like these can add value to your home. Plus, the time investment and cost may be negligent. As mentioned above, a fairly inexpensive upgrade you can make is to update the paint in and outside your home. Although rich colors may be trending in 2018, it’s important to remember that not all colors suit everyone. 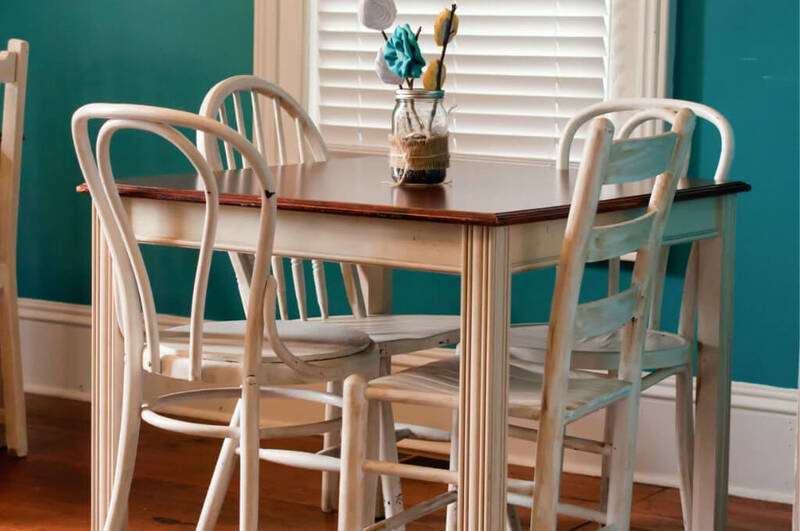 For example, you may love avocado green and paint an accent wall in your dining room with that color. But when a home buyer comes around, they are turned off by it and skip out on putting an offer on your home. In some cases, getting your home ready to sell may either be too much work or may extend the timeline longer than you’d like. Fortunately, there’s another way to quickly sell a home: selling as is for a cash offer. Let’s take a look at how that works. Getting a cash offer on your home works a bit differently than selling it traditionally. When you sell traditionally, you must consider all of the items mentioned above. On top of that, you also need to (ideally) find an agent, spend time and resources fixing it up, and ultimately leave it up to the market to decide how fast your home sells. Selling your home as is, however, is exactly how it sounds: selling it exactly how it stands today, no work or fuss added. But how does one go about getting a cash offer on their home? The first step is to research real estate investors in the Seattle area. Start by Googling “real estate investors near me” or “sell my home as is”. Chances are, the ones you’re looking for will show up at the top of your search. Then, go through their website and find out what stands out about each company. Are you looking for a quick solution and the highest return, no matter what your experience turns out to be like? Or, are you looking for a local option with a builder who will make sure the community is kept in mind during your property’s transformation? Once you’ve narrowed your search to a couple of options, reach out to them to find out how much they’d offer on your home. In most cases, investors will provide you with a no-strings-attached offer that you can use to compare to the market and against competitors. Remember that because they’re purchasing your home as is, the offer you receive may be slightly below market value. That’s because they’re calculating for the repairs they’ll make on your home and saving you the time and resources of doing it yourself. Once you find an acceptable offer, let your contact know and they will assist you with moving forward in the process. If all goes well, you should be able to close the same week that you reached out. They’ll have the cash-on-hand and won’t have to wait for financing to go through. At this point, you’re all set to move out and move on to the next chapter of your life!